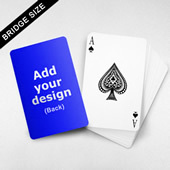 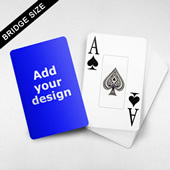 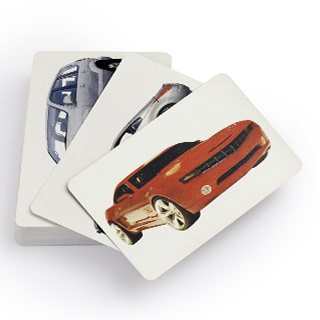 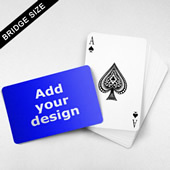 The design differentiates itself with “Bridge Size Playing Cards – Rectangular Back” with indices printed on the four corners of the card back. 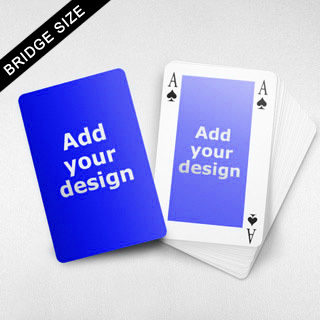 It is this subtle difference that gives the deck an extra stylish feel. 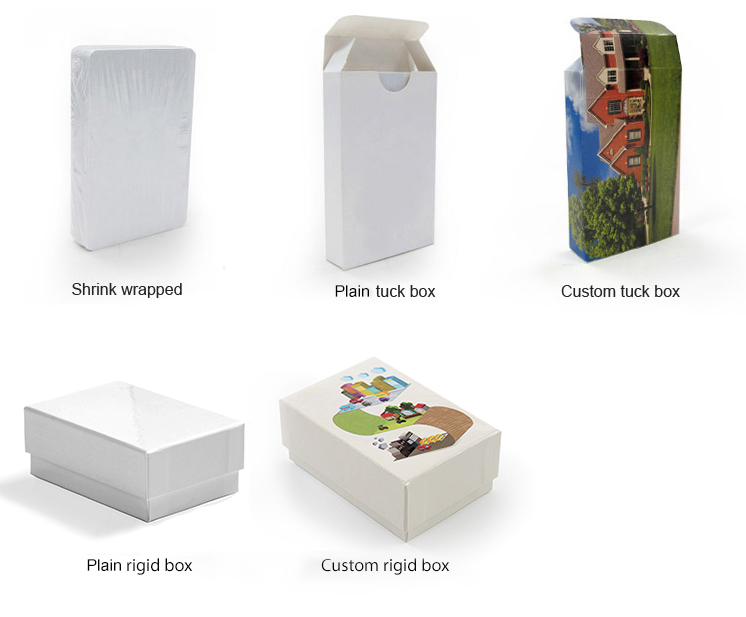 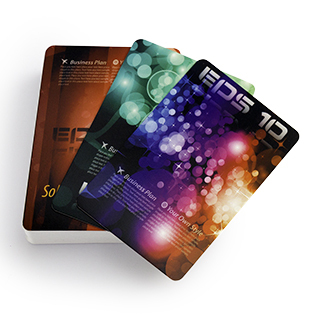 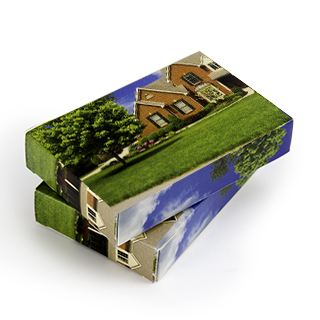 To amplify the elegant touch, upgrade the packaging to crystal clear plastic case, or tailored tuck box.